These new cookbooks authored by runners offer up quick and easy recipes to fuel your workout. Shalane Flanagan made history last fall when she became the first American woman in 40 years to win the New York City Marathon. While dedicated training certainly played the biggest role in her victory, Flanagan also points to diet as a key part of her success. For those wanting to mimic her approach, she’s sharing it as co-author of "Run Fast, Cook Fast, Eat Slow," the follow-up cookbook to "Run Fast, Eat Slow," both written with fellow runner Elyse Kopecky. The new cookbook joins two other runner-authored recipe collections, all debuting in the next couple of months. "The Runner’s World Vegetarian Cookbook," by Heather Mayer Irvine, and Jen Hansard’s "Simple Green Meals" both offer up a runner’s perspective on healthy eating but can easily serve as eating guides for any type of athlete or fitness buff. Runners love to eat and are forever seeking out fast, easy ways to do so. This trio of cookbooks delivers the goods. Shalane Flanagan and Elyse Kopecky first met as cross-country teammates at the University of North Carolina. Fast friends, the two stayed in touch post-college even as their paths diverged. What later began as a simple conversation around their real food approaches evolved into the cookbook sensation "Run Fast, Eat Slow," released in 2016. This book also serves as a primer for those newer to the kitchen. “Instead of strict recipes in some cases, we give overviews of how to pull something together so that readers can learn from our ideas,” Kopecky says. Look for "Run Fast, Cook Fast, Eat Slow" on Aug. 14. Heather Mayer Irvine isn’t a vegetarian, but she is a runner, and a speedy one at that. As the former food and nutrition editor at Runner’s World, she regularly encountered runners who successfully fueled their endeavors with a plant-based diet. More than that, however, she buys into the idea that all runners can benefit from more plants in their lives. So when the opportunity to share plant-based recipes with a wider audience arose, Irvine jumped. With that in mind, the cookbook features recipes that health-conscious readers can for the most part make in under 30 minutes. Irvine opens the book making a case for more plants in a runner’s diet and follows up with guidelines for vegetarian and vegan athletes. Recommendations like “eat all the colors,” and “fat is your friend: don’t avoid it but make smart choices,” are included in her advice. After a guide to the recipe key, it’s on to the simple and nutritious recipes themselves. Throughout the cookbook, Irvine shares recipes from elite runners like Deena Kastor, Matt Llano and Shalane Flanagan. The forward is penned by Scott Jurek, one of ultra-running’s biggest success stories, himself a vegan athlete. “Scott is a legend who sticks with a fresh, plant-based approach, so I’m thrilled that he is part of the book,” Irvine says. The Runner’s World Vegetarian Cookbook will be available Oct. 9. “What do you want to do?” was the simple question Jen Hansard’s husband Ryan asked her. Simple as it was, she had no answer, but it started her journey of discovery and passion for healthy living. 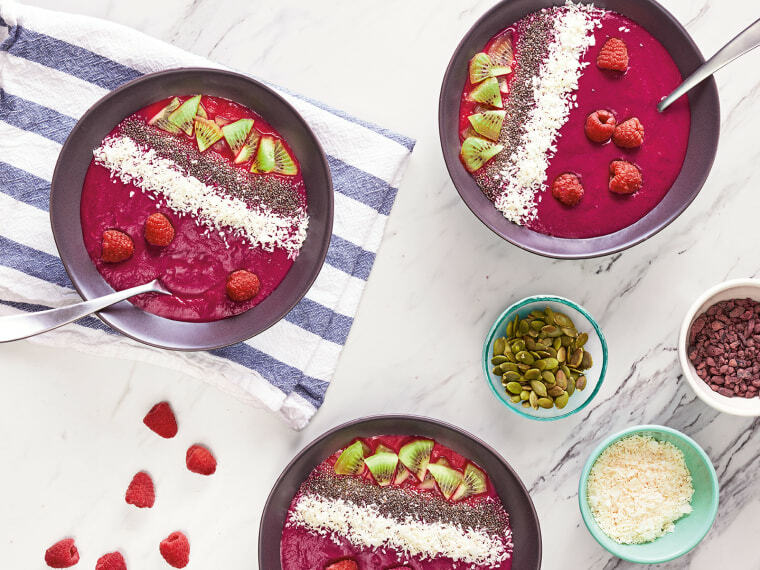 Now an accomplished ultra-marathoner, mother and author of the popular Simple Green Smoothies web site and cookbook, Hansard has authored a follow-up in Simple Green Meals. Before diving into the plant-based recipes, Hansard offers up her story and philosophy on wellness and fulfillment, and teaches readers how to embrace a healthy lifestyle. A “find your passion” worksheet gives readers a chance to make their own discoveries. More than anything, though, Hansard stresses progress over perfection. The recipes that follow are a reflection of her approach to living and eating, and she shares her “simple eight” ingredient list as the basis for all 100 of the creations. Fruits, leafy greens, whole grains, legumes, nuts and seeds, dark chocolate, and healthy fats all make the cut. Dairy, refined sugar, processed foods, gluten, meat and caffeine, among others, are all pointedly absent. Simple Green Meals will be available Sept. 11.